“The name is Arthur,” Arthur reminds Max. Undeterred, Max announces that he too can paint. Arthur isn’t excited about the idea, but he allows Max to paint as long as he doesn’t get in the way. With his supplies and blank canvas ready to go, Max realizes he doesn’t know what to paint. “Well … you could paint me,” suggests Arthur. Needing no further encouragement, the blue, yellow, and orange paint flies off Max’s brush. Directly onto Arthur. But that’s exactly what Max has done. Arthur, now transformed into a Jackson Pollock-ish pointy lizard, is enraged. He screams Max’s name and the now dry paint cracks, flakes, and bursts off of Arthur to reveal another artistic layer. Chalk. 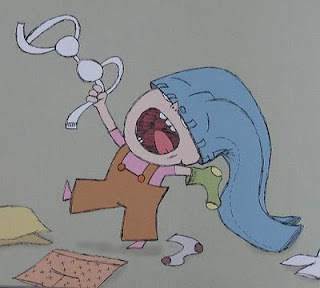 Max helps Arthur get rid of the chalk, only to reveal another artistic layer. Layer after layer is removed, each revealing Arthur artistically rendered in another medium. Eventually, after several artistic transformations, Arthur is left as the shell of himself. 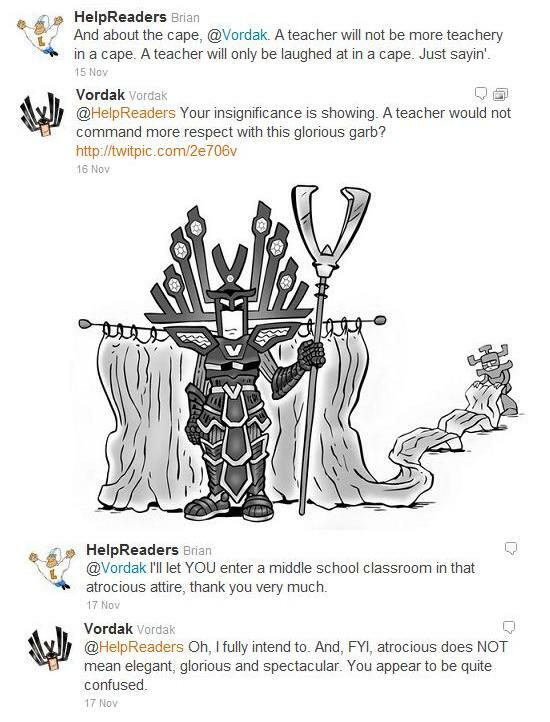 He’s just a pencil outline. It gets even worse for poor Arthur before it gets better, but Max’s final solution is both amazing and fascinating, even to Arthur. David Wiesner has created another artistic gem. What Flotsam did for photographers, what June 29, 1999 did for gardeners, what Tuesday did for herpetologists, Art & Max will do for art teachers*. 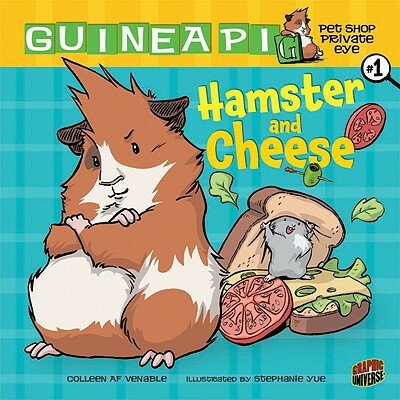 The story is simple, but Wiesner’s tour through several artistic media is what makes his latest book a must have for classrooms. 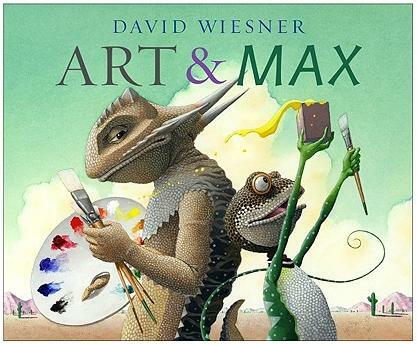 *Okay, I don’t know for certain that photographers, gardeners, or herpetologists necessarily benefited from Wiesner’s books, but art teachers, yes, get yourselves a copy of Art & Max. "Once upon a time there was a nice little boy named Earnest." Oh, and how nice he was! He always listened to his mother. Always. Always, always. He ate his vegetables, even when they were the only things on his plate. He played quietly, and when he was done, he picked up his toys. He sat up straight and went to bed on time. He helped with the household chores and even managed more difficult tasks (for kids anyway) like polishing, mending, and cooking. What did Earnest never do? The list is extensive: spill, whine, dawdle, talk back, get his own way, or have a good time. But he was a nice little boy, there's no arguing that. So when Earnest noticed a new family moving into the house next door, he asked his mother if he could go over. His mother hoped he would meet another nice little boy. "Mothers always want their children to meet other nice children. They want their children to meet nice children who will be a good influence." So yes, Vlapid always listens to his mother (and Earnest is all too eager to help), but can you imagine what Vlapid's mother expects of him? I bought into this book right from the start. Earnest looks completely wholesome - suspenders, bow tie, right hand politely tucked into his pocket - while Vlapid, I think, may have a troll or two in his family tree. At first I was disappointed that the book ended when it did, with only the promise of days spend together "influencing" one another. I expected readers to see a slow transformation in Earnest. Instead, they are left with the two boys together, smiling pleasantly, fishing. But what comes next? Does Earnest's mom invite Vlapid's family over for tea? Does Earnest begin helping his mother like Vlapid helps his? Maybe it's better this way. While I love the idea of tea at Earnest's house, other readers will surely imagine a variety of other possible scenarios. Leaving what happens to the discretion of the reader allows for as many creative endings as there are readers, and all readers will be satisfied. Let's just hope he doesn't end up with a broken finger from playing football in the house ... like a certain boy - who shall remain nameless - once did thirty-ish years ago. Mothers have the most incredible power known to humanity. This power has been used every generation since the dawn of time, and its effectiveness is evident in our own children. Having trouble with your children? Blame your parents, not your parenting. Our children’s behavior is entirely beyond our control. They behave this way due to that incredible power mothers have heretofore refused to lay aside. What is this ability able to sit dormant for 10, 20, even 30 years before bursting back to life, crossing generational divides to unleash its remarkable power? Every mother, at some point during motherhood, faces the choice. The circumstances may differ, but the choice remains the same. Every child will inevitably push their mother’s limits to this crucial crossroads when frustration and aggravation become exasperation. It is at this moment when mothers must choose. Do I want my child to one day grow into a happy, peaceful, joy-filled parent, or do I want my child to one day experience the same frustration, aggravation, and exasperation as me? The choice is anything but easy. She stopped. Not because I suggested it, mind you. It was more of a shocked, did-you-just-rudely-interrupt-me-in-front-of-the-children hesitation, but she did stop. Here she was about to continue the Mother’s Curse to another generation, to perpetuate the problem of childhood conduct, and in that moment I shared -- blurted, really -- my realization. She did not speak, and has yet to speak, those words that nearly passed her lips. And thus began my quest. Parents of today, the ability to change the world is in our hands. We Generation X-ers, often criticized as cynical layabouts and unmotivated slackers, could rise up and accomplish what no generation before has even considered. We could end the Mother’s Curse. Hear me out! No longer will beds go unmade. Homework will be completed without asking. “Please” and “thank you” will roll naturally off the tongues of the young. Sass will be a thing of the past. Words once a curse will become a blessing. Sure, as grandparents it might be satisfying to sit back, smirk and ask, “Having trouble with the children, hmmm?” But as gratifying as that would surely be, this quest is for the good of humanity. Break the Mother’s Curse! It is time. No, it is PAST time. Trixie and her beloved bunny have traveled down the block, through the park, and past the school to the Laundromat in Knuffle Bunny. Trixie took her one-of-a-kind bunny to school in Knuffle Bunny Too. 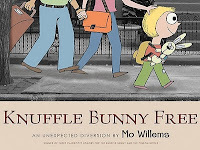 In Knuffle Bunny Free, Mo Willems tells how Trixie and her family embark on a much longer journey. This time they are going to visit Oma and Opa in Holland. So everyone was excited when Knuffle Bunny Free was released. Trixie's realizations in Knuffle Bunny, Knuffle Bunny Too, and Knuffle Bunny Free. No, Knuffle Bunny is not in the washing machine. No, Knuffle Bunny is not at Sonja’s house. Worse. Trixie’s daddy called the airline. Knuffle Bunny is in China. No way Knuffle Bunny is coming home this time, everyone thinks. Mommy gives Trixie hugs, Daddy tells the story of his “Special Lamby,” and Oma got more chocolate milk and commented about how big Trixie was getting. Not even the café, the park, the carnival, windmills, feeding ducks, or Oma and Opa’s surprise can fill the Knuffle Bunny sized hole inside Trixie. Eventually Trixie comes to a realization on her own about Knuffle Bunny. And despite the amazing and miraculous final events of the Knuffle Bunny saga, Trixie knows that her realization is true. “Really?” asks Trixie’s daddy. “Really?” asks Trixie’s mommy. “Blaggie Plaggie?” asks a new acquaintance. There’s not much more to share about the book that isn’t available in my first or second posts, so I’ll just tack on my review here. 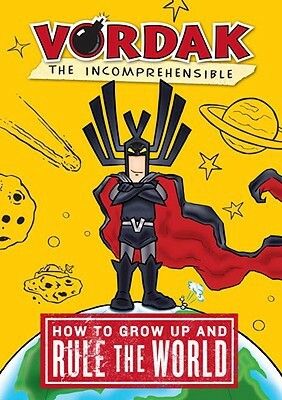 I think the book is absolutely hilarious, and I’m talking about the pages between the introductory Jackass and the concluding Jackass. Are we really living in a world where some people have forgotten about books? 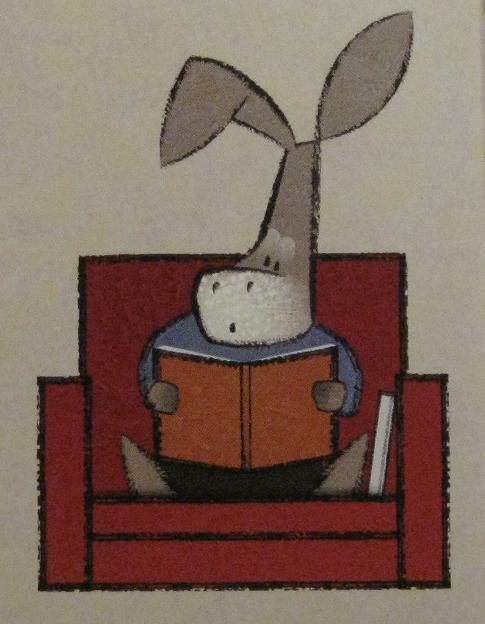 People certainly haven’t forgotten the importance of reading. Try taking away someone’s texts or tweets or blogs. That’s reading. People read more today than ever before. 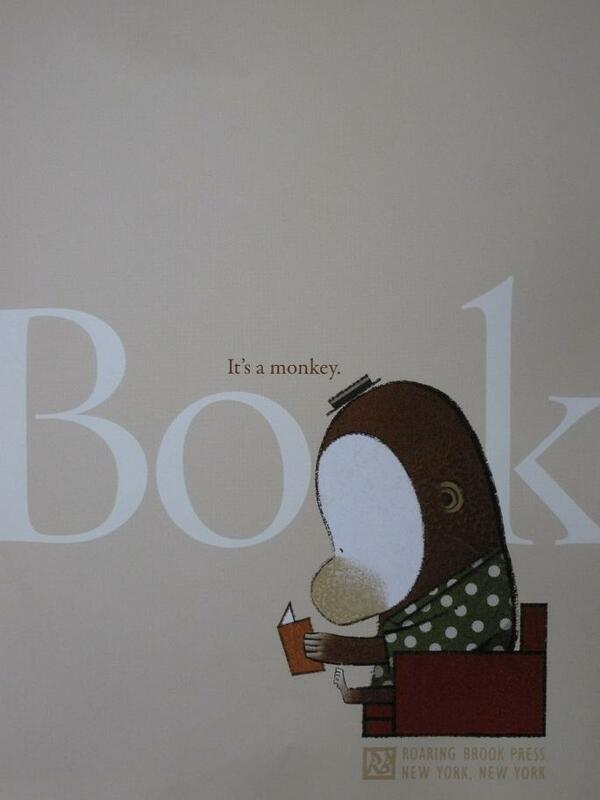 But there’s still value to books - the plain old, hard bound, paper and ink book. Maybe I’m just biased … okay, I am definitely biased … but I think everyone should see the importance of books. Even a Jackass. 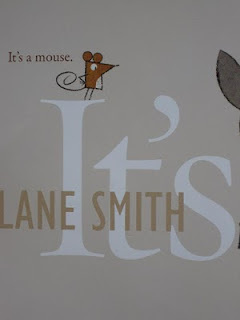 Of course Lane Smith and Roaring Brook Press knew exactly what they were doing. 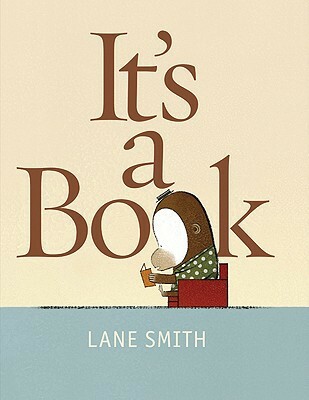 First, the book is a spot-on commentary on technology in today’s world and perfectly illustrates what happens when a great book grabs the attention of the reader. Second, using Jackass in the manner they did guaranteed publicity and sales. And there’s the rub. I believe most teachers will find the book a great tool to use with students to spark discussions on technology, books, and reading in today’s world. I believe most teachers will find it entertaining. At the same time I also believe that most teachers will hesitate or flat-out refuse to use the book. So while I highly recommend the book and think it’s hilarious, the choice to use it (and potentially defend it) is yours. 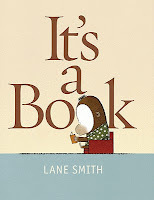 A few days ago I set up a simple survey about It’s a Book by Lane Smith. It is admittedly a very unscientific survey, but it gathered some information, and that was the intention. (Here’s my original post and the survey. Opinions are still welcome.) Here is a summary of the results. All the respondents were either teachers or librarians, but several people checked numerous boxes, like the teachers who are also parents. I’ll use it as long as I don’t have to deal with any angry parents. I already have enough to do. Teaches them slang. Throw it out! Concerned about the word "jackass?" Nope. WE HAVE TO MAKE OUR KIDS WANT TO READ BEFORE WE CAN MAKE THEM READ WHAT WE WANT THEM TO! 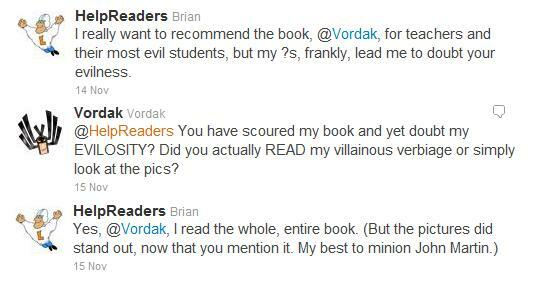 Is that kind of book "commentary" really meant for younger kids? 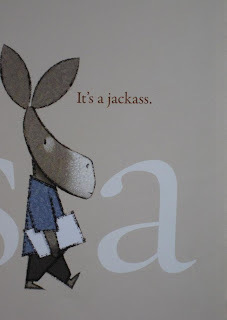 I don't think so…I think we should discourage the use of disrespectful language and labeling, which I think the use of the word jackass exemplifies. 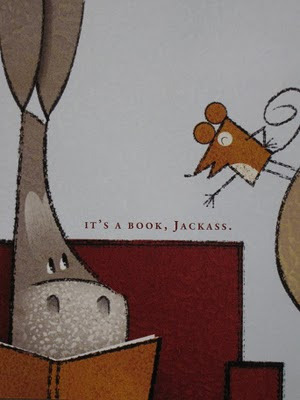 The Jackass aspect ruins the book instead of making it better. It wasn't necessary. I feel that it is a funny premise, but it is divisive. It seems to miss its audience and therefore misses the point. I don't think most children would get anything out of the book other than "jackass." I love what he is trying to do, but I don't see how his message will get to the masses when teachers and school librarians can't read it aloud or stock it in their library. Having the book in schools is a fight many librarians will choose not to start. I am sure they push the boundaries as far as they feel they can with many of their choices. 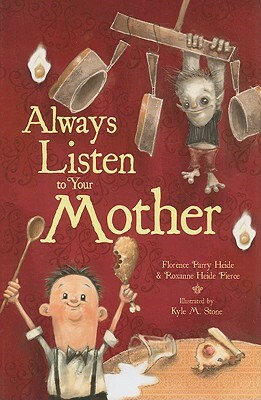 There's no point in unnecessarily ruffling feathers WITH A PICTURE BOOK. Could he have gotten his point across any other way? 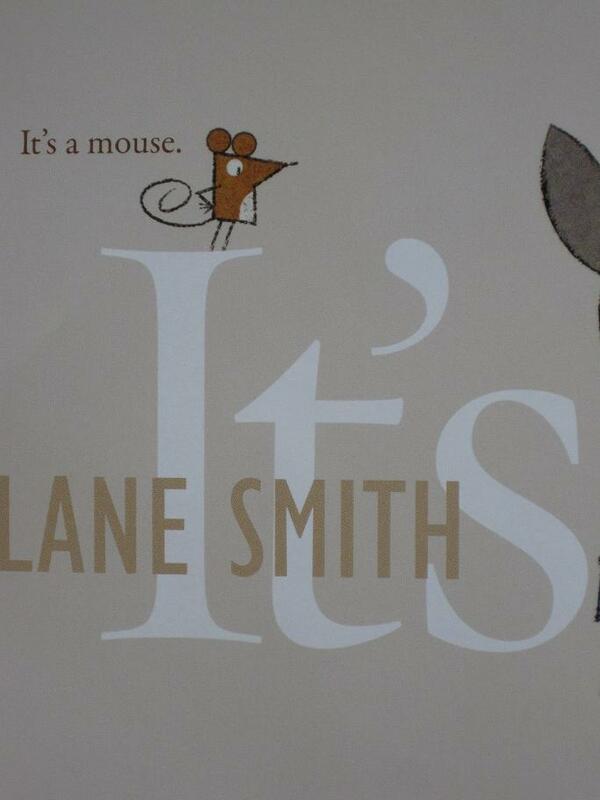 I think if he had chosen any other humorous joke, it would have made the point because he is LANE FREAKIN SMITH! Thank you to everyone who took the time to respond. Anyone who would like to share their opinions can still complete the survey or leave a comment below. Thanks again. And that’s it. 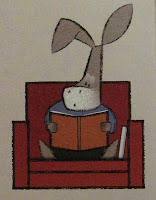 One plugged-in, tweeting, blogger type character is curious about this book-thingy that another character is holding. He is only able to see the book through his technological frame of reference, and therefore is unable to understand its simplicity. How do you use it? What does it do? How does it work? Okay, that’s not it. Not really, at least in the eyes of many. The book trailer leaves out one little detail. 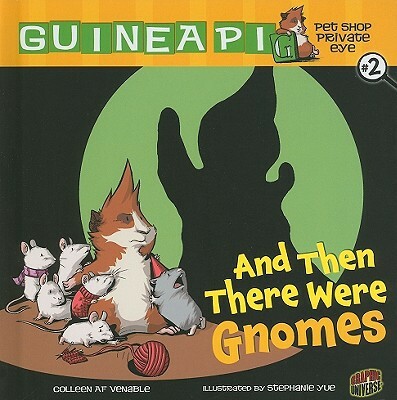 Here, the title page introduces the characters. Now maybe you’re saying, “I can live with that. Donkey, jackass, whatever. Teachable moment.” Or maybe you’re saying, “Oh for crying out loud. Jackass? Is that really necessary?” Either way, you read through the book and notice all the technological terms that are so significant in our lives and our children’s lives today. You see how Jackass can take a page from Monkey's book, Treasure Island, and rewrite it using only twenty-nine characters, emoticons included. Then you witness his apparent transformation as the book completely captures his attention. And now I’m curious. What do you - teachers, librarians, parents, students - think? Is the book worth all the hubbub, Bub? Should it be used with students? In libraries? At home? I’ve created a very simple, very short, very anonymous survey to gather some opinions. Please take a moment - 90 seconds, tops - to share your opinion below, and be sure to click SUBMIT at the bottom. After I’ve gathered some information, I’ll share my complete review and whatever findings I find. Thanks in advance. Hope Yancey doesn’t just believe she’s up to it. She proves it. When Addie and Hope move from Brooklyn, New York to Mulhoney, Wisconsin to work as head cook and waitress at the Welcome Stairways restaurant, they do so to make a living, not necessarily to make a new life. What they thought were new jobs turns out to be much, much more. Shortly after their arrival, G.T. Stoop, the owner of the Welcome Stairways, announces his candidacy for mayor despite the fact that he has leukemia. Lou Ellen, a waitress at the Welcome Stairways, is concerned about her baby daughter’s slow development. Yuri, a recent immigrant from Russia, nervously busses tables and carefully navigates American culture with his broken English. Hope is needed in the Welcome Stairways, and not just another good waitress. Hope establishes herself as a talented waitress in the restaurant, a true friend, and as the summer progresses, a staunch supporter of G.T. Stoop for mayor. She becomes friends with Braverman, the assistant cook, and a number of others as they work together on G.T.’s mayoral campaign. Throughout it all Hope maintains … hope. Hope that G.T. will win. Hope that Lou Ellen's daughter will get better. Hope that she can make a difference. Hope that someday she will meet the father she never knew. She’s even prepared the story of her life in scrapbooks for the moment her father arrives. Joan Bauer has created a story full of characters that readers will enjoy, care for, and admire. There are teenagers who work for goals larger than themselves and individuals who place the wellbeing of others above their own. 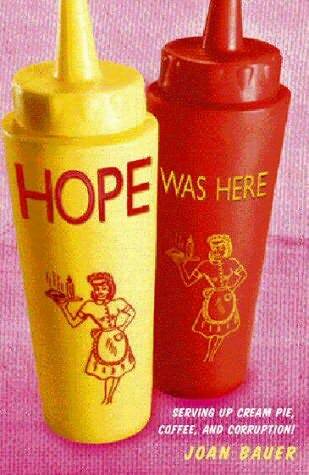 Hope Was Here is filled with people who learn and know what faith, hope, and love can do. 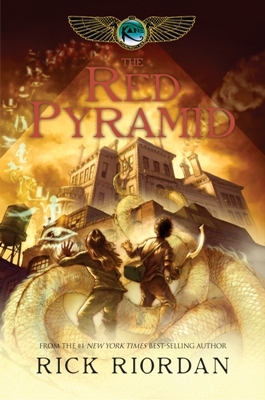 Readers will cheer the characters’ achievements and share their disappointments. Readers will feel their joys, their sorrows, and all the emotions in between. 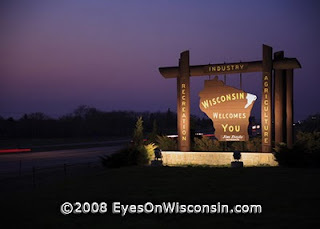 The I-94 welcome sign on the Wisconsin-Illinois border. “You think all teenagers care about are musicians and movie stars? Spend some time in Wisconsin. Banner "Reelect Our Mayor - Eli Millstone - The Only Man for Mulhoney"
Campaign buttons reading "Vote for Eli Millstone" are worn by eight men at the restaurant. Their request to hang a "Vote for Eli Millstone" poster is refused, Hope decides she doesn't like Eli Millstone because of the men’s behavior, even though she's never met him. An Eli Millstone float appears in the town parade. People around the float wear Millstone t-shirts. Later, G.T. announces he's running for mayor. He says he doesn’t have an exploratory committee. He gives his platform, or reasons why he's running. Eli Millstone challenges him about taxes. Millstone mentions the issues and says he is running on his record. The town charter says anyone who is a resident, age 30, and a U.S. citizen can run for mayor. G.T. has a petition to be signed. The Election Board says he needs 200 registered voters to sign the petition for him to officially be on the ballot. The Students for Political Freedom Coalition helps get signatures. Rumors say that the Real Fresh Dairy funded Millstone's campaign. Student Adam Pulver tells G.T. about his uncle. He is a spin doctor and has helped two congressmen win seats in the last two elections. "My uncle is a genius. The last guy he worked for was behind thirty-five points in the polls. Uncle Sid found the button of the district and his candidate won." Later, Sid Vole says, "The whole messy game of politics is about trust." "To spin or not to spin. That was the question." Suddenly the tax assessor's office is closed, and the Election Board says that fifty-five names had wrong information on the petition. G.T. is off the ballot. After an extension, more signatures get G.T. back on the ballot. "We've got ourselves an official horse race now," says Eli Millstone. He is asked "When will you be releasing the names of your campaign contributors?" G.T. gives speeches and is burning up the campaign trail. Campaign slogans are suggested. Students for Stoop is started with a website and newsletter. Students are encouraged to write letters to the Mulhoney Messenger. Editorials about the tax assessor's office are published. G.T. says "Give the mayor a message for me. Tell him that lies and dirty tricks never win in the long run. Tell him that fear is no way to govern people. He can refuse to meet with me from now until Election Day, but I will not be silent!" The Real Fresh Dairy cancels their advertising in the Mulhoney Messenger and Cranston Broom, dairy owner, announces his support of Eli Millstone. G.T. doesn't want to see the list of his campaign contributors. The Students for Stoop newsletter is called propaganda. Attempts are made to create publicity. In her speech Hope mentions being a citizen, the campaign, being part of the political process, being an honorable person, fighting for the truth, and playing games with people's trust. She mentions being sold down the river, dishonesty behind closed doors, the public eye, and being trustworthy. School starts. Hope is in a Political Science class. Claims are made that the sheriff was paid off to turn his back. Polls show one candidate is seven points ahead. A person says, "If you hear a lie long enough it starts to sound like the truth." Posters reading Stop Stoop appear. It is Election Day. There are no signs of election tampering. Eighty-five percent of registered voters in town voted. (How does that compare to most elections?) The Election Board investigates the official books. Numerous voters listed claim they never even registered. There is a protest outside Town Hall. A resignation is requested. The winner takes the oath of office. Numerous appointments occur, fines are levied, and investigations begin. "Politics isn't about power, control, or manipulation." The current mayor’s term continues. An acting mayor holds office. 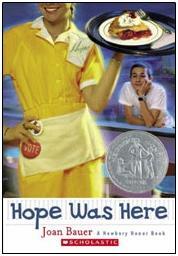 Tomorrow: A review of Hope Was Here. 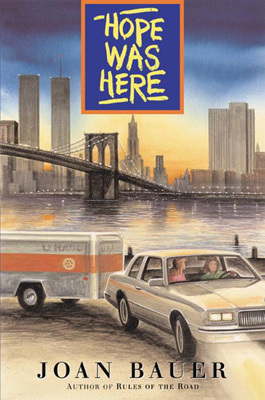 Having learned from a government official in Madison that mayoral elections in Wisconsin are always in the spring, and having read about the fall mayoral election in Hope Was Here, the students were eager to contact author Joan Bauer. Our correspondence follows. The emails have been slightly edited, and for privacy’s sake, specific names of students, teachers, and places have been eliminated. Our fourth and fifth grade class used Hope Was Here as the basis of our government project. The reading teacher - me - would come in each day and read a chapter or two aloud. The classroom teacher, Ms. B., would then follow up with lessons and research about campaigns, finances, taxes, issues, polls, or whatever election information was included in the book that day. It was a wonderful unit, and as any great book will do, the discussions extended way beyond the intended subject matter. To follow up we invited our local mayor to talk about her election experiences. She told us that she was elected in the spring. She was unsure, but she believed that mayoral elections throughout the state were held in the spring. That got us to wondering, we did some digging, and here's what we learned. Nonpartisan elections in the state of Wisconsin, including mayoral elections, are held in the spring. A regularly scheduled election for mayor would never occur in the fall. However, if there was a vacancy that occurred before June 1, the city's common council may order a special November election to fill the vacancy. And now we have a bunch of questions. Did you know that? Did you choose to put the election in the fall anyway so it would better fit the plot? Do you have any connection to Wisconsin? If so, what? And if not, why did you choose to send Hope and Addie to Wisconsin and not, say, Iowa? Thank you for your time and for your wonderful book. And please know we aren't trying to correct you or point out errors. We are just genuinely curious. Deep breath … wonder if everything is politely stated … another deep breath … and … click … SEND. 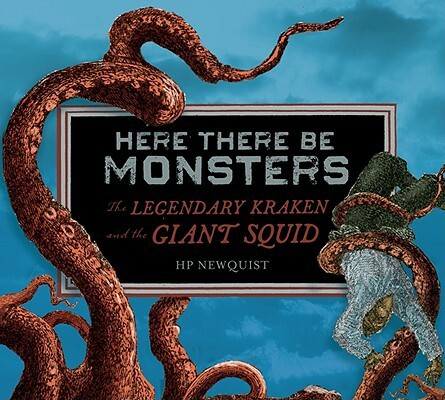 It took a week - and the longer it stretched, the more convinced I became that we’d just completely irritated a Newbery Honor winning author - but finally the response came. Hello to you and your class. I'm delighted to hear how you and your students have dug into HOPE WAS HERE. What a great way for them to learn about government. I'm impressed. And, I must tell you, that I didn't know about the spring mayoral elections in Wisconsin. I did a great deal of research about local politics, but I missed that one. Thank you so much for letting me know. Now, that brings me to the other part -- had I known, what would I have done? 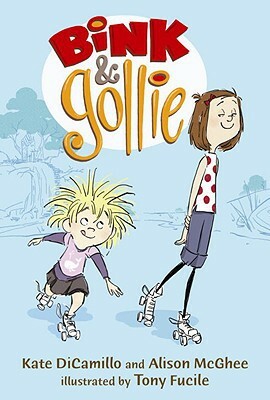 I'm not sure because so much of the story takes place in the summer as Hope and Addie move to town. I needed Hope not to be in school so I could show her full-out at the diner, and then there is the build-up of the election into the fall. It would have been quite a challenge to change it to spring. But all of this is fascinating to think about. 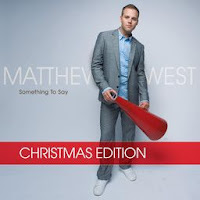 Thank you for digging down so deeply -- you are giving your kids a stupendous gift. My best to you and your 23 interested 4th and 5th graders. Do you know what an email like this can do to a room full of nine-, ten-, and eleven-year-olds? Teachers, I’m sure you can imagine. These students just learned that research can uncover information even an author missed. 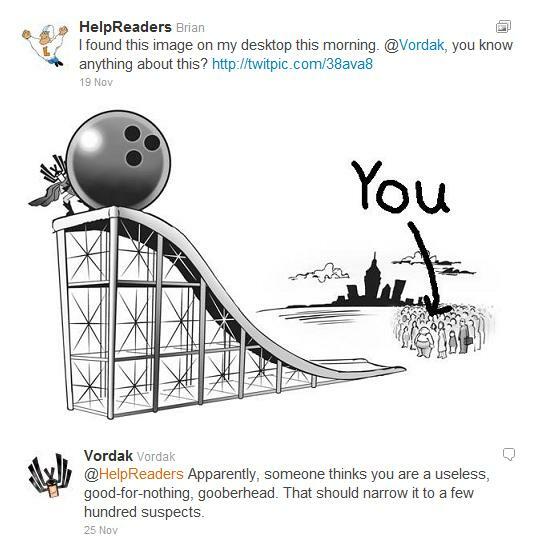 They asked a question and successfully found the answer. Maybe most significantly, they experienced the incredible feeling that comes when an important somebody takes the time to acknowledge and validate a child’s efforts. 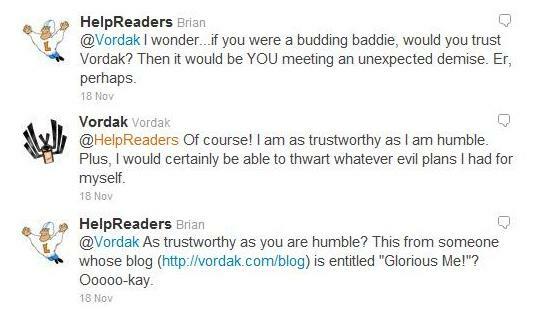 Our students loved learning that an author would respond so personally to their questions. Thank you. Would it be okay to share your response with others? The mayor who spoke to our class was curious to know if we'd learn more after her visit, and the person I talked to at the Government Accountability Board, Elections Division in Madison was curious to know as well. Finally, I hope our email didn't have a "Gotcha!" tone to it. That was never the intention. Thanks again for a wonderful book, the gracious response, and your willingness to share with students in a little Wisconsin town 1/10 the size of Mulhoney. Our second response was quick in coming, and it was every bit as gracious and kind as the first. Please share this response -- I think it's wonderful that your mayor and other government officials are interested. It just makes me realize how right it was for me to put Hope and Addie in Wisconsin. And as for your concern about a "gotcha" -- I truly didn't feel that at all, so please don't worry. 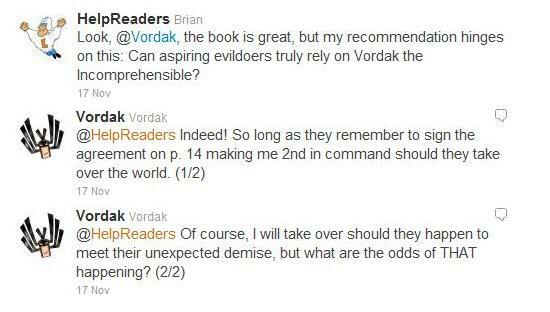 I'm delighted by your enthusiasm and impressed by how you brought so many facets of the book to life. One interesting thing that's happened with HOPE WAS HERE is that the State Department translated the story into Russian after I visited the country of Kazakhstan a few years ago. And now it's being circulated in both Kazakhstan and Russian. HOPE has been translated into many languages, but the Russian edition has special meaning for me. In case your kids are interested, the Russian word for hope is (I'll spell this out phonetically) na*deer*ja. Tomorrow: The original outline of our government project.